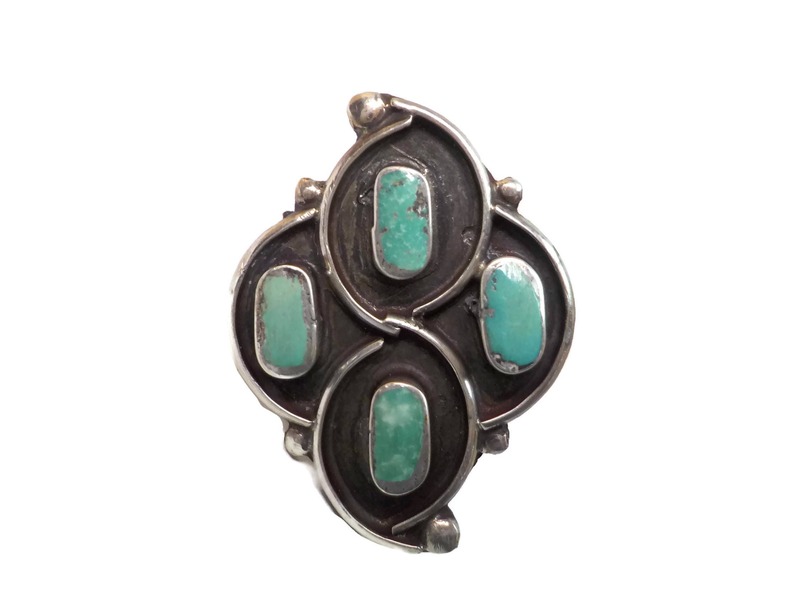 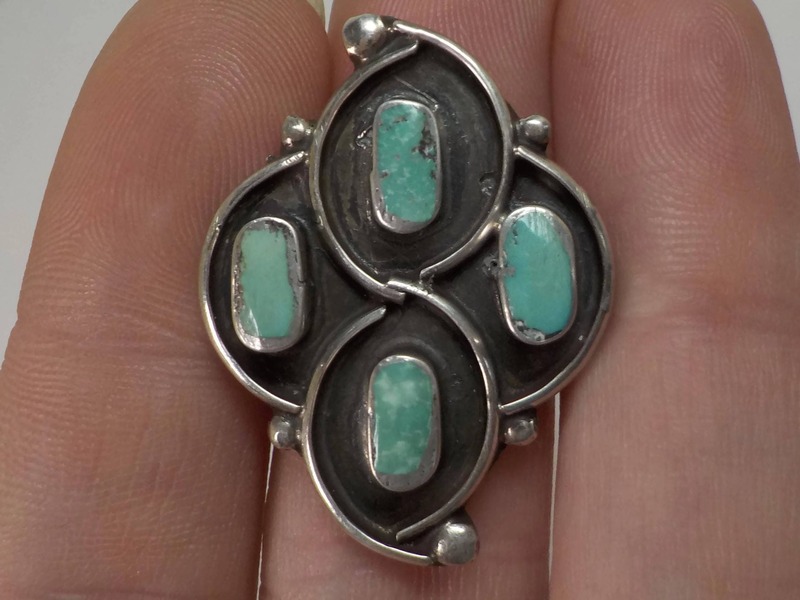 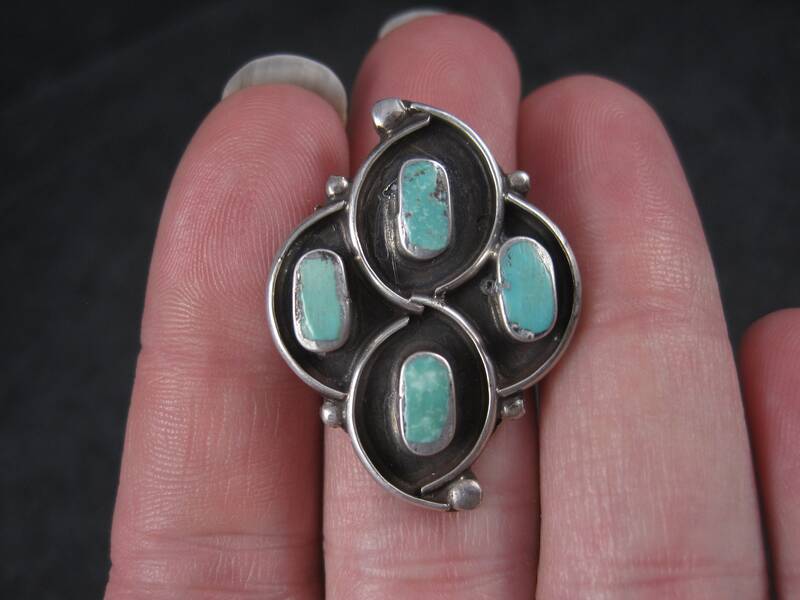 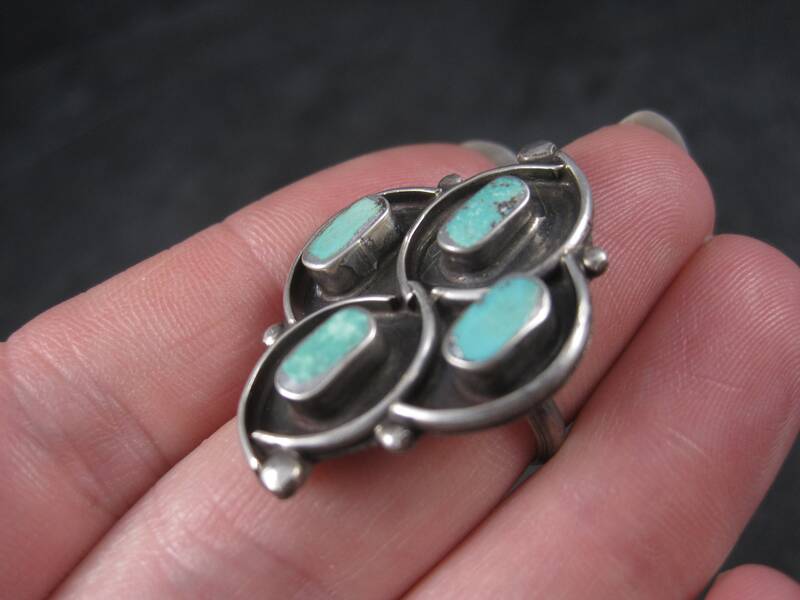 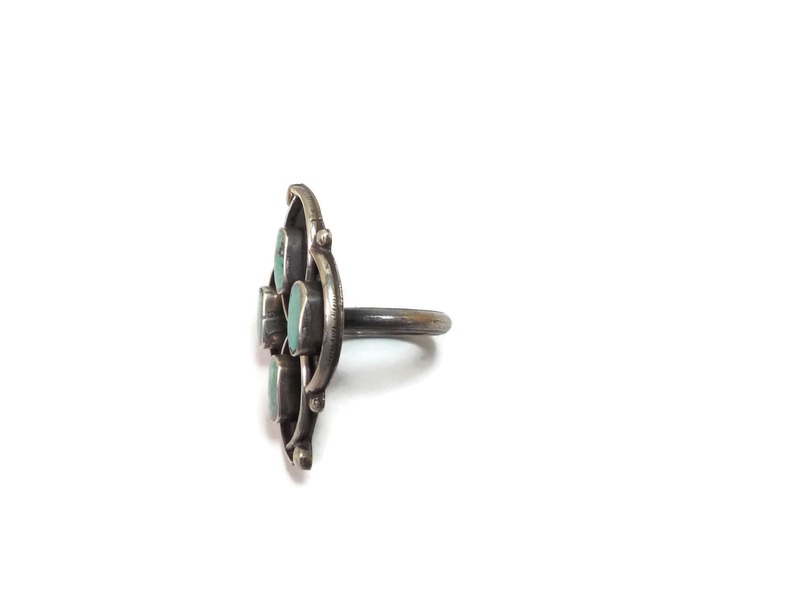 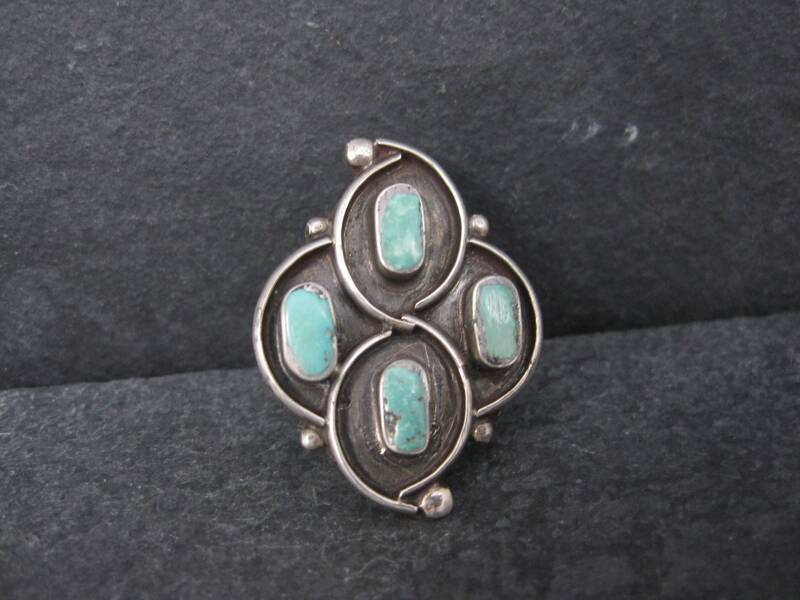 This beautiful vintage southwestern turquoise ring is sterling silver with natural turquoise stones. 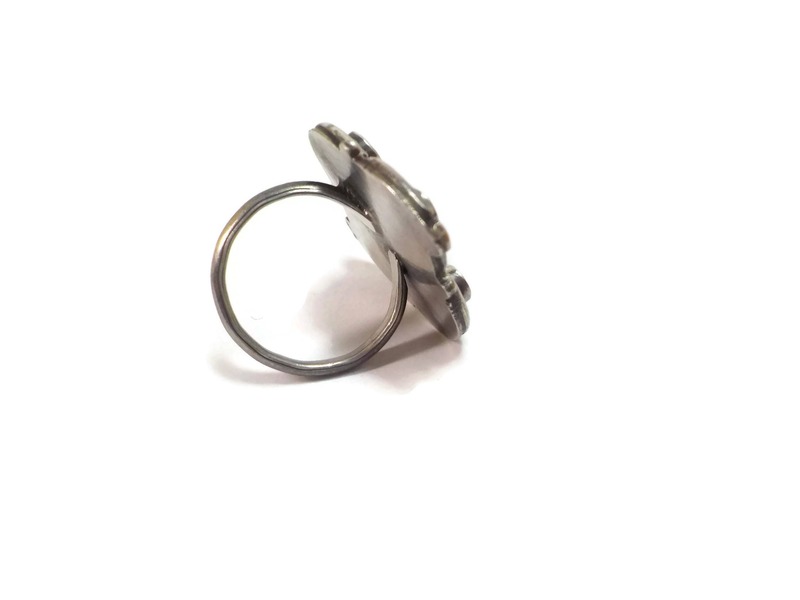 It is true dead pawn, just unpacked after being in storage for years. 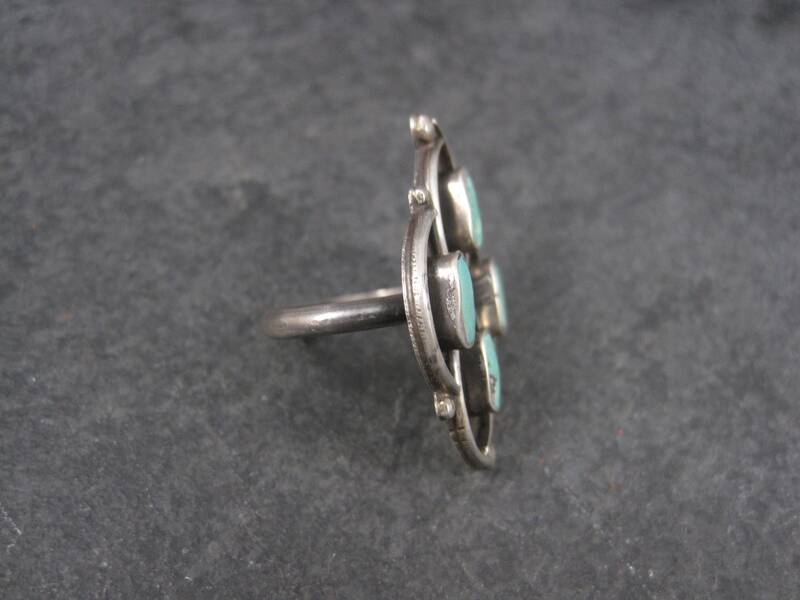 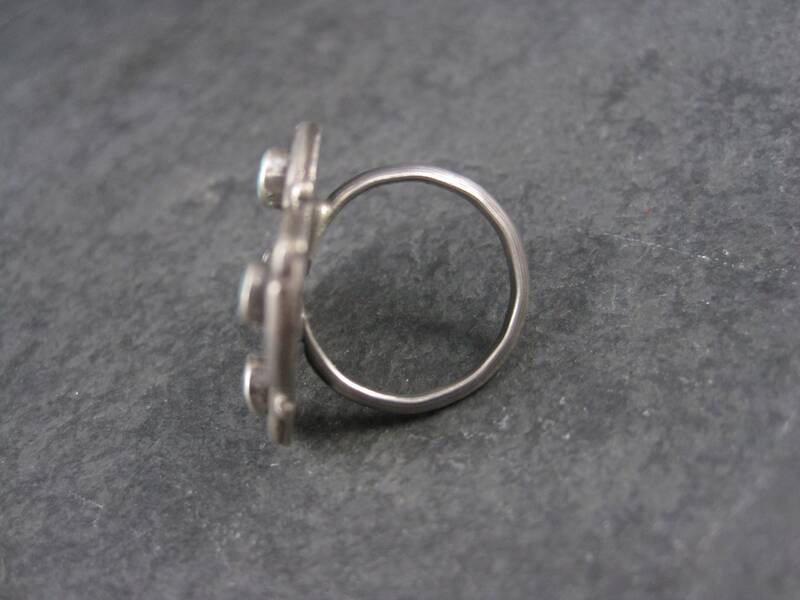 The face of this ring measures 15/16 of an inch east to west and 1 1/4 inches north to south.